Bengaluru-based fashion marketplace Jabong's chief marketplace officer and head of human resources have quit the firm, just three months after it was bought out by Flipkart's fashion and lifestyle brand Myntra. The development was first reported by Moneycontrol.com. Flipkart had bought Jabong for $70 million (Rs 470 crore then) in July this year. "Fashion and lifestyle are one of the biggest drivers of e-commerce growth in Indiaâ€¦ This acquisition is a continuation of the group's journey to transform commerce in India," Binny Bansal, CEO and co-founder of Flipkart, had said after the buyout. 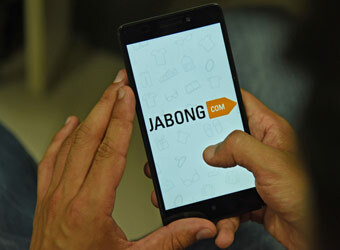 Global Fashion Group, which owned Jabong, said the transaction is a decisive step in its strategy to refocus its business on core markets and accelerate its path to profitability. VCCircle was the first to report that Flipkart is going to buy Jabong. The report by Moneycontrol.com said these exits are part of an ongoing restructuring at Jabong. The report quoted a letter addressed to the employees from chief executive officer of Myntra and Jabong Ananth Narayanan. The report said a re-organisation is put into place "which will ensure that we accelerate the progress we have been making at Jabong." Post the restructuring, HR and operations teams will report to chief operating officer Muralikrishnan B, the report said quoting an internal email. "The last few months have clearly proven to us the value and strength of the Jabong brand and our people. We have had multiple successes - reviving our revenue run-rate, achieving a GP (gross profits) positive month for the first time in Jabong's history, resolving several of operational challenges and a great festive season. The changes we are making to our organisation construct will help us continue our growth trajectory and grow the Jabong brand further," the letter mentioned as reported by Moneycontrol.com. Kant, a former employee of consulting firm Vyakta and ecommerce marketplace Snapdeal, had joined Jabong in January this year. Chadha, who joined Jabong in February this year, was formerly with Bharti Airtel Services. Jabong's parent Snapdeal also saw a few top management changes on Friday. Flipkart, which is India's biggest online marketplace, too made some changes at the top management as its chief financial officer Sanjay Baweja quit, during the October festive season.